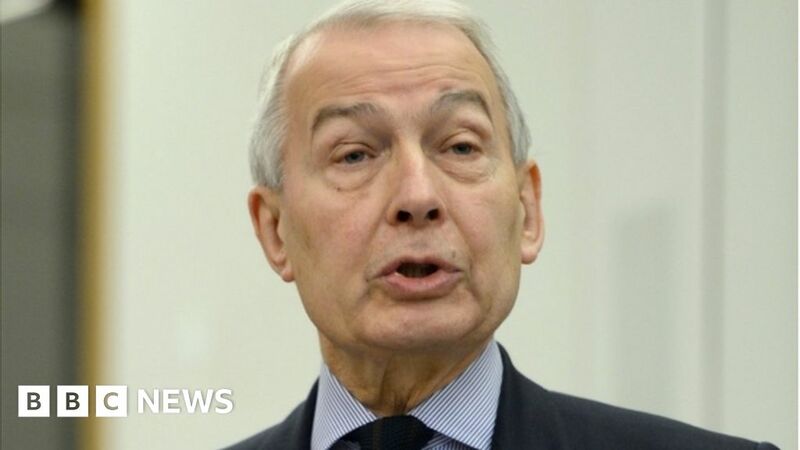 Veteran Labour MP Frank Field has quit the party’s group in Parliament, saying the leadership is becoming “a force for anti-Semitism in British politics”. The Birkenhead MP also blamed a “culture of intolerance, nastiness and intimidation” in local parties. A month ago he lost a confidence vote in his constituency party, after siding with the government in Brexit votes. Jeremy Corbyn has apologised for hurt caused by anti-Semitism in the party and pledged to stamp it out. But a Labour source claimed “Frank has been looking for an excuse to resign for some time”. Mr Field, a Eurosceptic who is among a handful of Labour MPs to back the government in some Brexit votes, says he will remain as a member of the party, but will quit the Labour whip in Parliament which means he will not be subject to the parliamentary party’s disciplinary procedures. The Labour Party says it is not possible to resign the whip and remain a party member, but Mr Field told BBC Radio 4’s PM he hoped to stand as a Labour candidate at the next election, but would otherwise stand as an independent Labour candidate. In a letter to chief whip Nick Brown, he said the anti-Semitism row in the party was reason enough to resign, suggesting the leadership was “becoming a force for anti-Semitism in British politics”. “Britain fought the Second World War to banish these views from our politics, but that superhuman effort and success is now under huge and sustained internal attack,” he wrote. Mr Field has been a Labour MP since 1979 and is a specialist on welfare issues. He had a spell as welfare reform minister after Tony Blair became prime minister in 1997, but his brief to “think the unthinkable” ended with his resignation a year later. Since then he has been a backbencher, and has chaired the Commons work and pensions committee for the past three years. Last month, Mr Field lost a confidence vote by his constituency party after voting with the government over Brexit plans. In his letter to Nick Brown, Mr Field complained that intimidation and intolerance were now “sadly manifest within my own Constituency Labour Party” and referred to a complaint he had made “on a specific bullying issue” going back 18 months that, he said, “no decisive action” had been taken on. Former Conservative Party chairman Lord Pickles was among Conservatives who praised Mr Field. A 2016 inquiry, carried out by human rights campaigner Shami Chakrabarti, concluded that while the Labour Party was not overrun by anti-Semitism, there was an “occasionally toxic atmosphere”. Recently, the focus has been on a new code of conduct the party has adopted on anti-Semitism, with critics concerned that it does not go as far as the International Holocaust Remembrance Alliance’s guidelines. Earlier this month, Mr Corbyn again apologised for hurt caused to Jewish people by anti-Semitism in his party and admitted Labour had been too slow in dealing with disciplinary cases. Mr Corbyn also stressed that people who hold anti-Semitic views “have no place in the Labour Party” and said people who use “anti-Semitic poison” are not his supporters, nor do they speak for him or the party.